Baritone William Lee Bryan makes his Lyric Opera of the North debut in Don Giovanni. 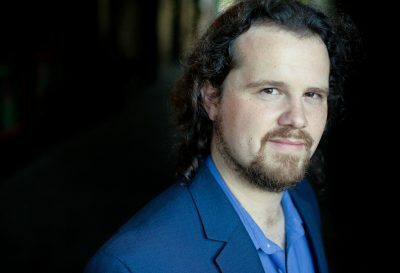 A native of Saint Paul, Minnesota, Bryan’s “large, ingratiating baritone” impresses audiences across the United States, where he has performed has performed opera, operetta, musical theater, and concert works across the United States (Minneapolis Star Tribune). Most recently, Bryan was a Resident Artist with Minnesota Opera, performing the roles of the Duke of Verona in Romeo and Juliet, Mr. Hatfield in Dinner at Eight, and Marcello in La bohème. Other favorite roles have included Don Giovanni, Elmer Gantry, Elijah, Ford in Falstaff, Demetrius in A Midsummer Night’s Dream, Rappaccini in La Hija De Rappaccini, Fredrik in A Little Night Music, Lancelot in Camelot, Hans Scholl in Weisse Rose, and Guglielmo in Così fan tutte. He holds a Bachelor of Music in Vocal Performance from the University of Minnesota, where he studied with Philip Zawisza, and a Master of Music in Vocal Performance from Florida State University, studying with David Okerlund. In FGO’s 2017-18 Young Artist Program, he will perform the roles of 5th Jew and Cappadocian in Salome and Alvaro in Florencia en el Amazonas.